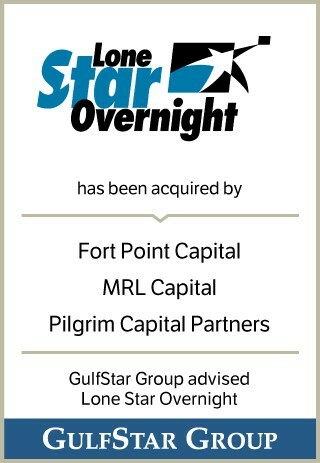 Lone Star Overnight is the leading independent intra-regional express and ground parcel delivery company serving the Southwest U.S. The Company's service area covers Texas, Oklahoma and select contiguous cities in Arkansas, Louisiana and New Mexico. LSO offers customers a compelling value proposition driven by personalized customer service, later pickups, earlier deliveries and industry-leading on-time delivery rates at prices substantially lower than those offered by larger national competitors. LSO was founded in 1991 and is headquartered in Austin, Texas.